There is a gaping hole in parenting literature. Despite the numerous bestsellers showing how to instill a love of reading, no book shows how to cultivate a love of an equally essential skill: writing. Finally, Pam Allyn, a nationally recognized educator and literacy expert, teaches us that writing is a fundamental part of self-discovery and critical to success later in life. Pam is the absolute best author for a book of this kind. She is the Executive Director of LitLife, a nationally recognized organization specializing in transformative school improvement through literacy education, and is also the Executive Director of LitWorld, a nonprofit organization dedicated to bringing quality education to the world’s most vulnerable children. In YOUR CHILD’S WRITING LIFE: How to Inspire Your Child’s Confidence, Creativity, and Skill at Every Age (Avery, Paperback Original, August 2011, $16.00), award-winning educator, literacy expert and author of What to Read When: The Books and Stories to Read With Your Child and All the Best Times to Read Them, Pam Allyn empowers parents to make writing, as much as reading, a part of life at home. 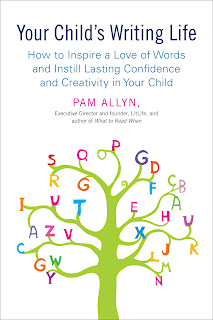 Allyn teaches us that every child has the capability to write, and that writing is a fundamental part of self-discovery and is a skill essential to success later in life. After writing the go-to book on reading, Allyn’s mission is to encourage all children to define themselves as writers too—confident in their ability to communicate with the world through words. YOUR CHILD’S WRITING LIFE is a practical and motivational guide to help parents inspire a love of writing. First and foremost, Allyn urges parents to establish “The Five Keys” to WRITE: Word Power, Ritual, Independence, Time, Environment. In YOUR CHILD’S WRITING LIFE, Allyn shares concrete strategies to get children excited about writing, from putting together travelogues to spying for characters to sending out a modern message in a bottle. By turning writing into a game, one can teach children to be more in tune with the world around them—more engaged, curious, and thoughtful. And with a list of twenty great books to inspire writing, Allyn arms parents with motivating material for all ages. YOUR CHILD’S WRITING LIFE provides ways for parents and teachers to encourage children to put words on the page, to convey stories that deeply matter to them, and to name and solidify those experiences for times to come. And as Allyn illuminates, if we teach our children that writing can be the most lasting and effective form of self-expression, as well as a concrete tool to solve problems, we are giving them the skill to last a lifetime. Two-thirds of the world's illiterate people are women. All across the world, girls are prevented from attending school, not provided the opportunity to go on to secondary school, and deprived of safe space while at school. Girls everywhere struggle daily to survive, often without the tools of language that we take for granted. Just as young women everywhere face trials and tribulations unimaginable to most of us, so to do young women everywhere have a quiet stirring in their soul to help others and change this reality for their fellow women. By simply having that first thought of "this is unfair, it has to change", you are taking the first step towards making a difference. We at LitWorld believe that words change worlds. We believe that the power of story - YOUR personal story - is one of the greatest tools you have to advocate for yourself and change the world around you. We believe in developing individuals as readers, writers, speakers, and listeners, so that they have the tools they need to champion their own rights and the rights of others. By working with children and young adults such as yourselves in LitClubs, our literacy and empowerment workshops, we are cultivating young leaders who will change the world as we know it. LitWorld was born of a small idea that all people deserve a right to literacy (and a passion for change), and in a couple short years has reached thousands of children in tens of countries, providing them with love, support, and the tools to begin reading. We are spreading literacy faster than we ever could have imagined, and much of that success is because of passionate young people like yourself who decided that today was the last day they could sit around waiting for the world to change on their own. They had to take a stand. There are a million ways to make a difference, but perhaps the biggest challenge is finding the courage to take the first step. Take the time to think "what can I do? ", "what are girls like me doing to make a difference? ", "how can I help?" it doesn't take much, but by supporting each other as girls and change-makers, we can create a global community of women not afraid to raise their voices for what is right and, as Ghandi said, be the change they want to see in the world. If we can pledge one thing right now, let's pledge to change this world together. 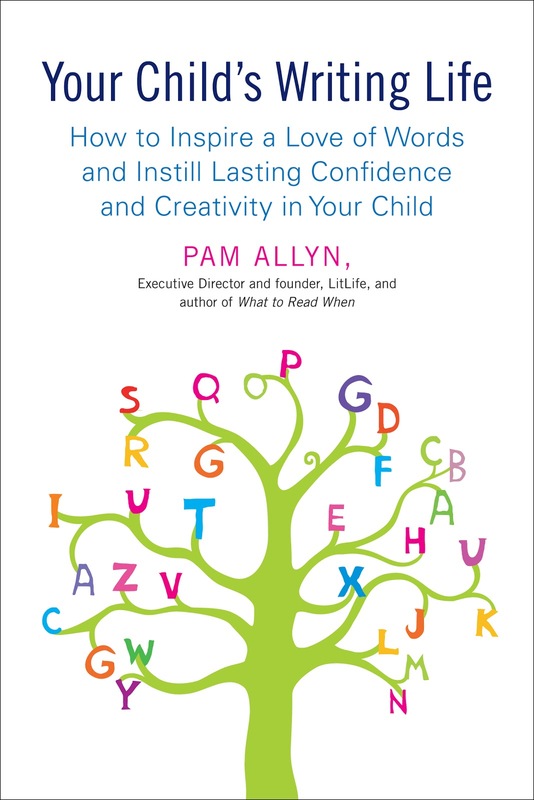 About Pam Allyn: Pam Allyn is a renowned educator and the Director of LitLife, a national organization dedicated to school improvement in the area of literacy education, and LitWorld, a global organization dedicated to ensuring that all children will learn to read and write. Her first book for parents and caregivers, What to Read When: The Books and Stories to Read With Your Child and All the Best Times to Read Them won the 2010 Parents Choice Award as well as the National Parenting Publications Gold Award in 2009. Her reading initiative ‘Books for Boys’ won recognition from the Points of Light Foundation and a Disney Award. Pam has received the James Patterson PageTurner Award twice. She lives in Hastings on Hudson with her husband Jim and two daughters, Katie and Charlotte. LitWorld is a 501C3 nonprofit organization led by Executive Director Pam Allyn, a renowned literacy educator and advocate. We work to cultivate literacy leaders worldwide through transformational literacy experiences that build connection, understanding, resilience and strength. Join us online at http://litworld.org/actnow/. Stand Up for Girls with us on September 22, 2011 by visiting http://ow.ly/6iWjH.